← Heading to the islands! I learned this week that people in Magong don’t believe they live in Taiwan, so even then though they still are under the control of the Taiwanese government, they don’t consider themselves Taiwanese. Magong is super awesome, but first I’ll talk about leaving Puli. I left Puli two days before Wen Han (9) and Guan Xi (11) were baptized which is super awesome! I will really miss that place, the branch, the investigators, and Elder Stringham! He was an awesome companion and I learned a ton from him. Luckily, I moved to the coolest place ever. On Thursday morning at 10:30 a.m., I was dropped off at the airport and took the 35-minute flight to Magong. 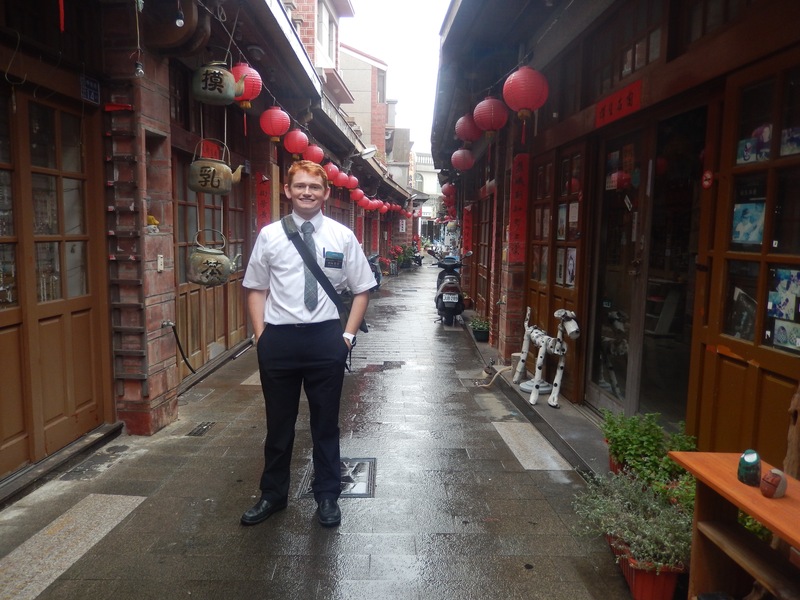 It was weird being without a companion for that period of time, but it would take a missionary to fully understand. Magong is one city on a group of many islands, and we can only go to five of the 64 islands to proselyte. It takes about 15 minutes to bike from one side of our island to the other, but a lot longer to bike out to the other islands. The wind here is just unreal; it blows so hard! Elder Ah-Fua is awesome. He reminds me of Elders Liu and Jakubczak from back home. It’s already obvious that this transfer will go smoothly with him. It is also apparent to both of us that we will be able to learn a lot from each other. His strengths are my weaknesses and my strengths are his weaknesses which is just a massive blessing that I’m super grateful for. The area and work is also awesome. Right now we have one investigator who is looking really good for baptism in three weeks. So pray for her! We’ve got lots of room for finding though to get some other people progressing! This branch could really use it. I said last week that the branch has about 20 people at sacrament meeting on a good day, and I learned this week how true that was. When sacrament started yesterday there were only nine people in church, including us missionaries. Elder Ah-Fua and I are Facebook elders which means we can use Facebook. That’s pretty exciting and a rare opportunity for us. I learned something new this week though that I misconceived when I was new to Taiwan. This Church really is the same no matter where you go. 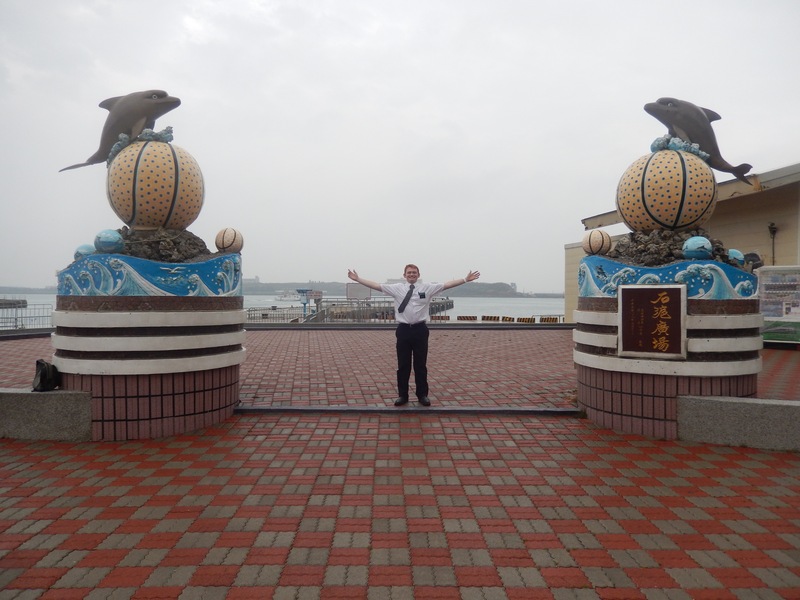 You could be in a ward of 500 in Salt Lake City, or a branch of 15 people on a remote island just off the coast of China; it is the same everywhere. We are all God’s children, working for one ultimate goal—to return to live with Him again someday. I have a feeling that this is one of the lessons I needed to learn here and I hope you can learn from my testimony. This Church is true! Love you all a ton!